Ukrainian servicemen resumed shelling Zaytsevo village in northern Gorlovka suburbs, Donetsk News Agency reporter informs. 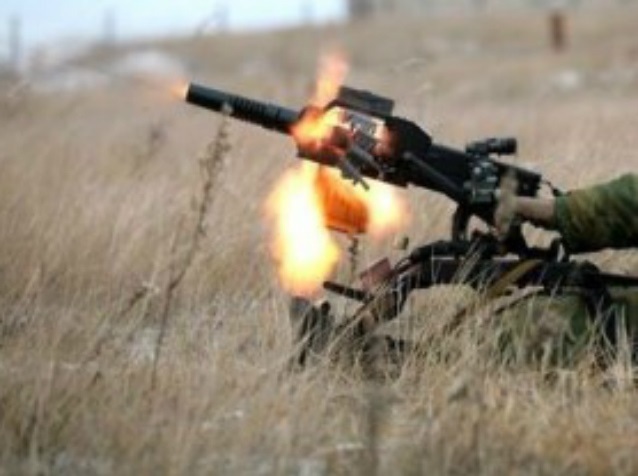 As Donetsk People’s Republic’s Defense Ministry representative told to Donetsk News Agency, the enemy fires mortars, anti-tank guns, anti-aircraft guns and small arms. “Four civilians, two adults and two children, were injured during the shelling in the area of Bessarabka district (north-west of Gorlovka – Donetsk News Agency Editor),” the representative said. It was earlier reported that another five people were injured in the shelling of Golmovsky village in the northern Gorlovka outskirt, another elderly woman was wounded by shell fragments in Zaytsevo village. According to Donetsk News Agency reporter, as a result of the morning shelling of Bessarabka district the roof and walls of three two-storeyed residential buildings were damaged, as well as the House of Culture and the Resident Registration Office. The water pipes were also damaged. The utility services already work on restoring the water supply systems. Today Kiev’s punitive forces shelled Zaytsevo village near Gorlovka twice. They opened fire by mortars, anti-aircraft guns, anti-tank gun and small arms. The local administration building and the former building of the rural council were significantly damaged. At least five houses, a kindergarten, boiler house and gas supply pipes were damaged in Golmovsky village. This entry was posted in News from Ukraine and tagged DPR, Gorlovka, Shelling, Ukraine, Violation of Ceasefire. Bookmark the permalink.